"Female empowerment groups on campus have one goal in common: to prove women can stand strong on their own but are even stronger when standing together." Illustration published Nov. 29, 2017. They’re angry. They only support women. They hate men. They’ve heard these accusations before, and they’ve had enough. Female empowerment clubs on the ASU campus are fighting feminist cliches and rising above the barriers college women face. These female success student organizations each take unique angles on feminism; however, they have one goal in common: to prove women can stand strong on their own but are even stronger when standing together. Cabral says she feels young women are not taken seriously by others when outlining the issues she has experienced or seen. She says this is more prominent among certain majors, especially within the STEM field. Women — specifically those of color — do not see themselves represented as professors and other leadership roles around campus, she also says. She adds sexual assault and harassment to the list saying everyone has the right to feel safe on campus as it is not only a place of study and work, but also a home for many students. What is the solution to these issues? Cabral joined the Womyn’s Coalition in April when she found herself always talking about feminism and wanting to practice what she preaches. After recognizing she had the time and resources to promote equality for women, there was no turning back. Womyn’s Coalition advocates for gender equity on campus, says Cabral. It does not believe in putting women above men, but rather building a community in which everyone can raise their concerns and have their voice heard. Each meeting commences with a quick “sip 'n' b*tch” in which members drink tea and discuss anything in the realm of feminism, whether it is something they are upset or pleased about. One of the coalition’s main goals is to recognize the damage stereotypes can cause and erase them all together. Cabral says the idea of sexism is often brought up and leads women to believe they are not good enough. Sexism can negatively affect men as well. She says, if you put a set of stereotypes onto one gender, the opposite of those will naturally fall onto the other. Cabral says an examples a common cliche is that women are weak. The “logical” conclusion is that men have to be strong which leads them to believe they cannot cry or do things most would consider “feminine,” she says. Cabral wants students to know that the organization works with several cultural coalitions as well to do a variety of things, such as host events for the heritage months throughout the year. “However you identify, this club can be a place for you,” Cabral says. The coalition works alongside other student groups that hold similar ideals because it is an umbrella organization. It has partnered with Woman as Hero, I am that Girl, and several others. I am that Girl is a global organization with over 175 local chapters, according to the company’s website. The ASU branch of I am that Girl started about four years ago, says Brooke Overturf, club leader and computer science senior. What started with five girls in its first year has grown to more than 45, and it is always looking to include more. Overturf says the club’s mission is to eliminate the word "competition" between women and replace it with "collaboration." The organization is prominent on college campuses as these times can be some of the most stressful in people’s lives, she says. The weekly meetings start with each member explaining why they are a “badass.” They use this time to help women reflect on what made them feel great that day or week. The members then delve into a discussion relating to the theme of the month. The club is focusing on setting goals this November. Overturf says meetings are a place for members to give their opinions and talk about personal experiences. The two words “female” and “empowerment” lead women to believe they are strong and can do everything on their own, says Overturf. Although she believes this is true, she says the club emphasizes the power of collaboration and wants women to know it is okay to ask for assistance. Overturf says the organization also welcomes men to come to meetings, despite its name. It is a warm environment for all and focuses on supporting one another, she says. “We appreciate [men] because we want to hear from their perspective about certain topics that we have,” Overturf says. I am that Girl hosts a “Real Men Night” in which influential men come in and discuss what it means to be a “real” man and how everyone can work together. The club hosted Manny Wilkins, the Sun Devil football quarterback, in recent years. The Barrett Feminist Club is another student organization that believes men and women can come together in the name of feminism. The club was co-founded by a male student, Lerman Montoya, a junior studying journalism. Montoya says he thinks there is a misconception that men cannot be feminists due to the stigma behind the word. He says it is imperative men join the feminist movement because they can make one of the biggest impacts by advocating for these issues. Lauren Barnes, Barrett Feminist Club co-founder and social work studies junior, says the club took off with the help of two fellow classmates, Montoya and Maureen van Dobben. Cabral also aided in the creation of this club as well. Barnes says that many people assume she “hates men” because she is a feminist. She wants to set the record straight. The club hosts two types of meetings, both of which are informal conversations about topics pertaining to feminism. Barnes says they discuss anything from periods to politics. At some meetings they screen films and have a post-discussion about it, while at others, they pull up some form of media to start a conversation. The club is “always a work in progress,” Barnes says, but she is happy that it has members of different backgrounds, cultures and personalities. Zaria, another female empowerment club on campus, also celebrates women’s differences, says Derin Odunlami, the organization’s social media coordinator and health science/policy senior. Odunlami says she joined the club in 2015 as an outlet to make friends after transferring to ASU. She particularly wanted to find an organization made up of women of color who looked like her, she says. She says the goal of the club is to create an atmosphere in which women can express themselves and have conversations that are not always addressed, especially going to a predominantly white institution. Zaria wants to help women grow spiritually and mentally by being a support system and discussing a variety of topics, whether it be hair or news updates, she says. Odunlami describes the club as a non-judgemental space in which messages can be relayed in an understanding context. Each female empowerment club has its own way of doing things, but they all say they strive to reach the same end goal: equality and respect for all. “Regardless of society’s boundaries, we can look past them and empower one another to succeed in life,” Odunlami says. 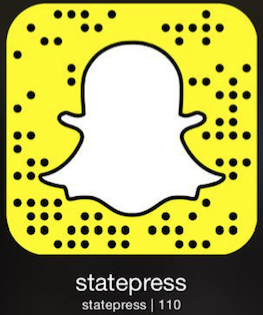 Reach the reporter at eataylo3@asu.edu or follow @emily_a_taylor on Twitter.